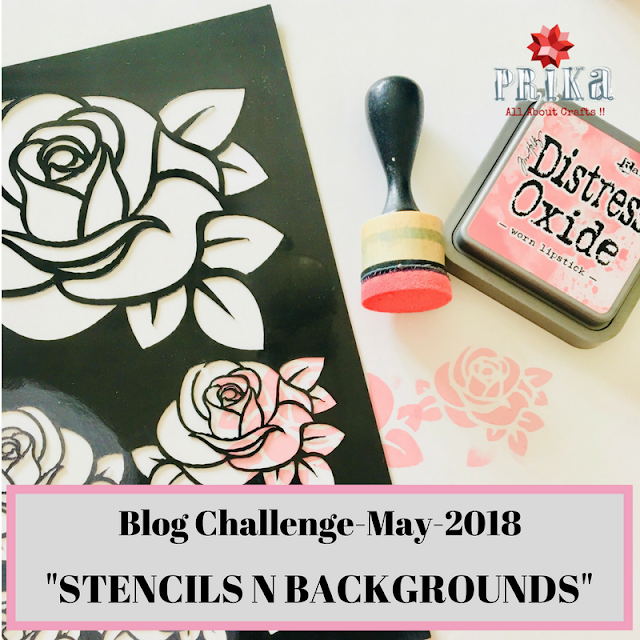 Couldn’t resist making one more creation using Embossing Texture Paste! This time I made a fintastic theme card with background! 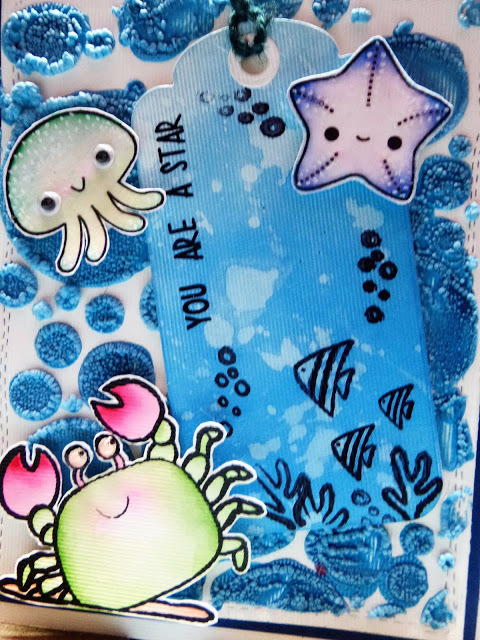 I started with stamping some critters and colored them with Zig markers, added some white dots to a starfish and octopus, fussy cut them. For more fun and interest added googly eyes to octopus and glossy accents to crab eyes. Doe cut a textured white panel using a double stitch rectangle die. Die cut two tags and applied embossing texture paste through Bubble stencil and keep one of the tags in the centre as a mask. 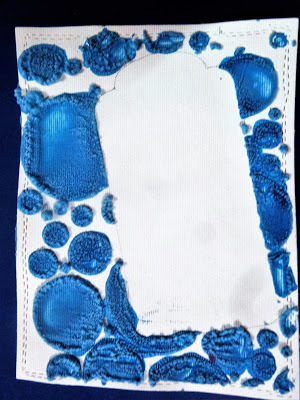 Removed the mask and heat embossed the paste and tiny bubbles appeared and they look like real sponged bubbles! Amazing!!!! 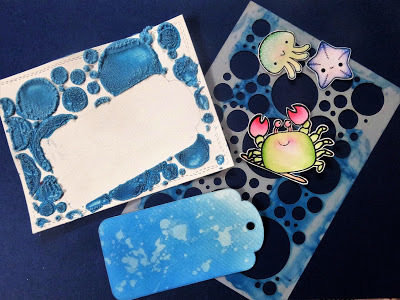 Now on the other tag, I blended some distress ink and added some water droplets. 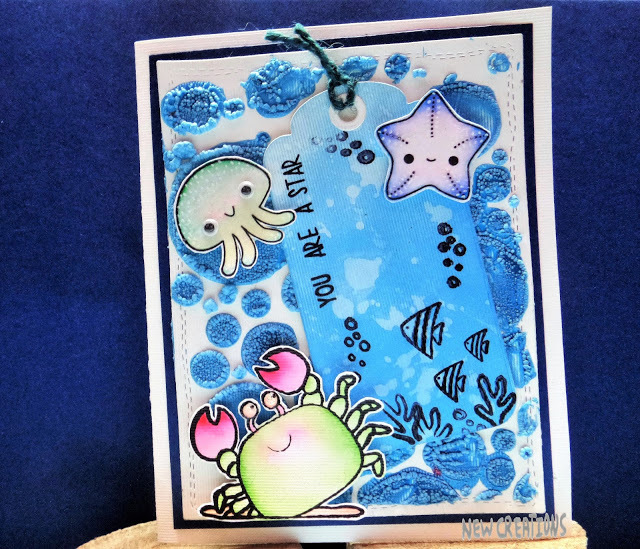 Stamped some of the sea elements. Tied a jute twine and adhered the tag using pop dots to that embossed panel, Created the whole scene! Matted it on a navy blue sheet and then placed it on a textured card base. I think it turned out so fun with the dimensions and textures. I hope you like it!! !